Hey friends, have we told you all about Carolina Film Network – September Meeting‘s guest speaker and what’s on the agenda for our September Meeting, which is only days away? Writer Allen Johnson will be dropping in to discuss the BUSINESS OF SCREENWRITING. Now did we mention he’s responsible for films such as The Freemason Movie, which starred Sean Astin (think Goonies) .. Or Templar Nation, which starred Erik Estrada (think Baywatch and Scrubs) ..? See now why we decided to twist his arm and have him come hang with us for a bit? Admission to event is only $5, which goes securing the space provided to us graciously by Tapp’s Arts Center. After the discussion we will screen Civil, The Gullah Project, and Eva’s Plug. Civil – Explores the dynamics of race and warfare during the bizarre, twisted period of the American Civil War. Civilians and soldiers collide and ultimately must decide each other’s fates in this dark glimpse into one of American’s strangest times. Directed by Andrew Huggins. The Gullah Project – African American’s on St. Helena Island, South Carolina have been farming and fishing their land since the Civil War. Now they must choose whether to sell their pristine coastline to retire in luxury, or find a way to persevere their way of life for their children. Directed by Denise McGill. Eva’s Plug – An eccentric woman gives her niece unconventional advice on how to deal with issues in her relationship. 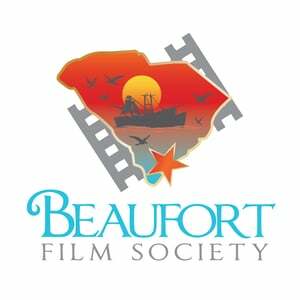 Audience Choice Award at the 2015 2nd Act Film Festival in Columbia, SC. Directed by Tamara Finkbeiner. ALSO NOTE: IF THERE IS ANYTHING IN PARTICULAR YOU WISH TO ASK ALLEN JOHNSON FEEL FREE TO PRIVATE MESSAGE US SO WE CAN GO AHEAD AND PASS IT ALONG TO HIM. EVENT: Tuesday, September 27th from 7pm – 9pm at Tapp’s Art Center located on Main St. in the Capital City.